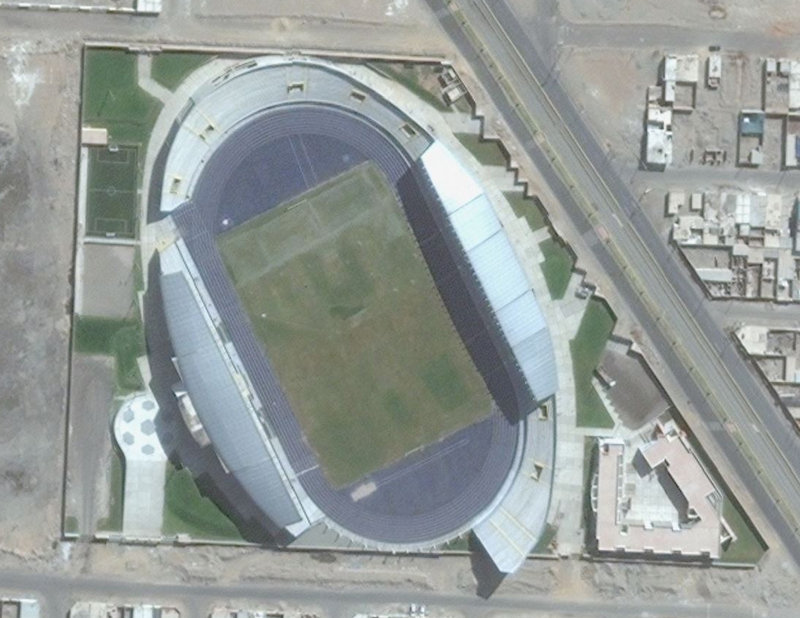 Today, we have a nice looking stadium from Tacna, Peru. 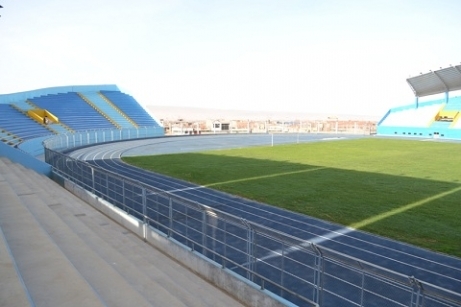 Estadio Joel Gutiérrez is a new stadium where construction was started in 2009. It apparently has been surrounded with controversy though. It started out as a 5,000-seat stadium, but ended up being 21,000 instead, and therefore way over budget. Combine that with shoddy construction work and numerous structural issues, and the community in not happy about its development. After five years, it sounds like things are finally up to snuff, and everything is close to being fixed. The track was one part that was not installed correctly, including not having the correct 400-meter length. Hopefully this has been remedied. It does look nice though, as does the rest of the stadium. Below is a newscast video (in Spanish) talking about the stadium’s issues I think, but you do get a pretty good look at the facility too.